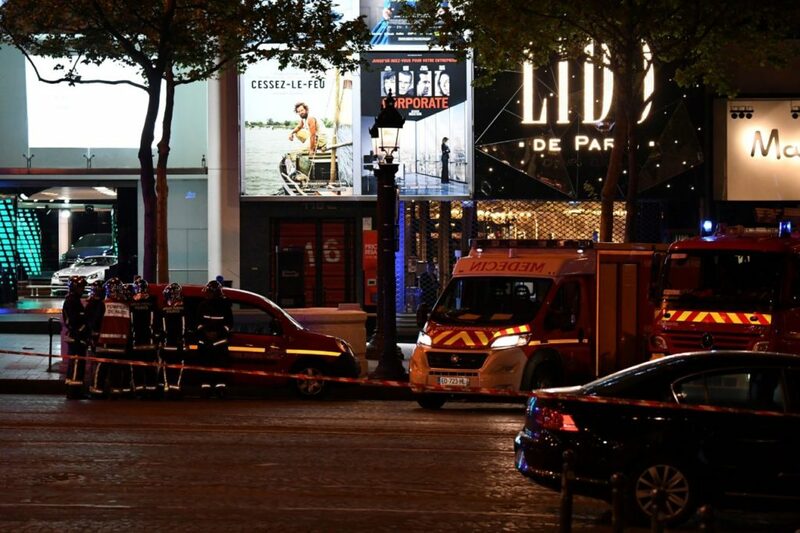 One police officer has been killed in an apparent shooting with what is being described as a “Kalashnikov” on the famous Champs Élysées in central Paris and one shooter has been shot dead by police. 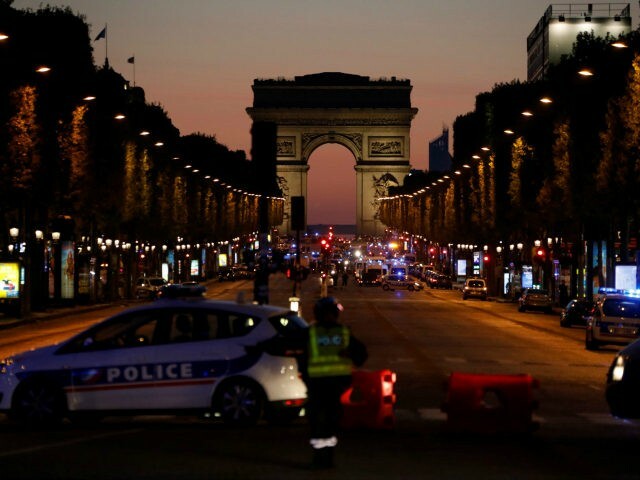 The tourist-choked Champs Élysées, Paris was shut down by security services Thursday evening after a terrorist attack that claimed the life of one police officer, and saw an assailant shot dead. While French police scramble to investigate the circumstances surrounding the attack, it seems clear that an assailant already known to the security services for extremism opened fire on officers sitting in a police car standing in traffic with a “Kalashnikov” style weapon. French president Francois Hollande has called for election campaigning to be suspended in the wake of the attack, and confirmed the government was treating it as a terror event. The Islamic State has claimed responsibility for the attack. UPDATE 17:50 EST: The Islamic State has claimed responsibility for the Paris attack through its propaganda news agency Amaq. The Islamic State said the attack had been perpetrated by a Belgian. UPDATE 17:45 EST: French President Francois Hollande, who has decided to not stand again in Sunday’s election, has addressed reporters outside the Elysee palace. Telling the press the French government was treating the attack as terrorism and that he’d convened a meeting of the French security council for Friday morning, the President also reassured the public that the security services would be “absolutely vigilant” to protect Sunday’s election from attack. With just three days until France goes to the polls to select their new president, it was somewhat inevitable another terror attack at thsi late stage would influence events surrounding the vote. With just one full day of campaigning left, candidates including Marine Le Pen and Francois Fillion are cancelling their remaining events. The Front National’s Marine Le Pen, who just this week said that under a Le Pen presidency France would be free of terror attacks, took to Twitter after the attack to express her dismay at events. She wrote “Feeling and solidarity for our security forces, again targeted”. UPDATE 17:15 EST: Police say they have now identified one of the attackers, and that he is an extremist previously known to the security services. A search has been conducted at a Paris address in relation to the attack and an arrest warrant has been issued for what is believed was a second attacker who seems to have been able to escape. French newspaper Le Figaro reports police have not been able to definitively say whether there was a second attacker or not yet. BREAKING: Officials say the suspect in the attack on Paris police officers previously was flagged as an extremist. UPDATE 17:10 EST: A unverified video circulating on social media and shared by a twitter account associated with French political blog François Desouche claims to show the moments after the attack on the Champs Élysées Thursday evening. UPDATE 17:00 EST: French police have corrected a previous report stating that two officers had succumbed to their wounds after Thursday’s attack, revising the death toll among security forces back down to one. There has also been come clarification of the number of attackers involved, which presently stands at two. UPDATE 16:41 EST: U.S. President Donald Trump has commented on the attack saying, “it looks like another terrorist attack… It never ends.” Read more HERE. UPDATE 16:29 EST: Reuters reports that the second police officer has died of his wounds. Authorities are also searching the house of the gunman who was shot which they say is in the east of Paris. UPDATE 16:19 EST: Police sources saying that there have been more shots fired at a new location close to the original incident. UPDATE 16:04 EST: The Police were shot in their car while waiting at a red light according to the police union. UPDATE 15:44 EST: Reuters reports that there are two men involved in the shooting and only one of them was shot dead. 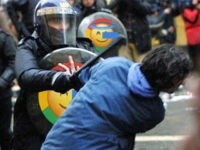 They also report that police are considering the incident an act of terrorism. UPDATE 15:35 EST: One policeman is confirmed to have died at the scene while the other officer is severely injured. Police also say that the attacker was shot and killed. 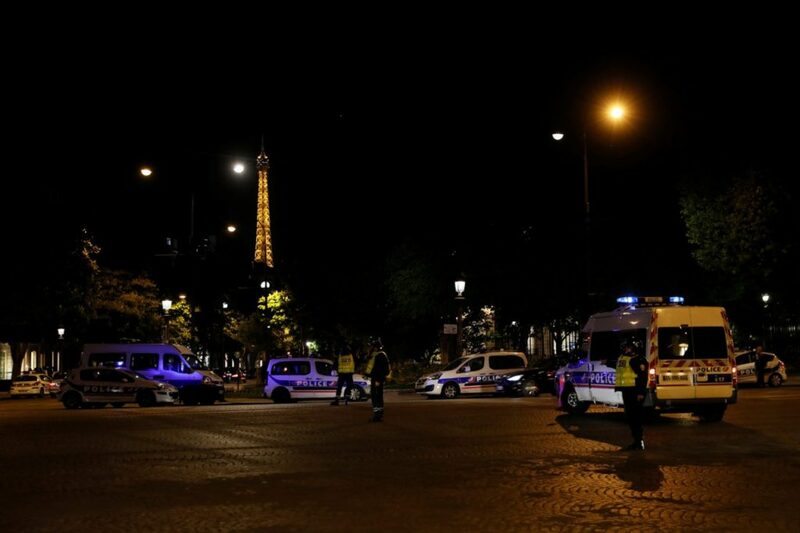 The police are said to have been severely injured in gunfire according to French television station BFMTV and another bystander seems also to have been injured. The prefecture of the Paris police has issued a warning for residents and others to avoid the area through Twitter and said that a police operation is under way. Some have claimed that the gunfire came from a Kalashnikov rifle, though so far there has been no comment from police on the nature of the incident or on any potential suspects. Several Twitter users have posted videos of massive police presence in the area.